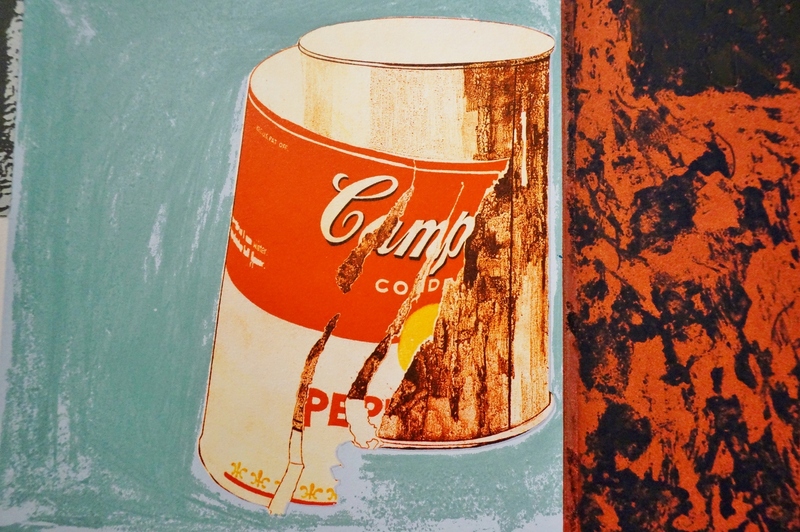 IRWIN group print, `Campbell Soup`, 1995, Slovenia. Unframed print by IRWIN group. 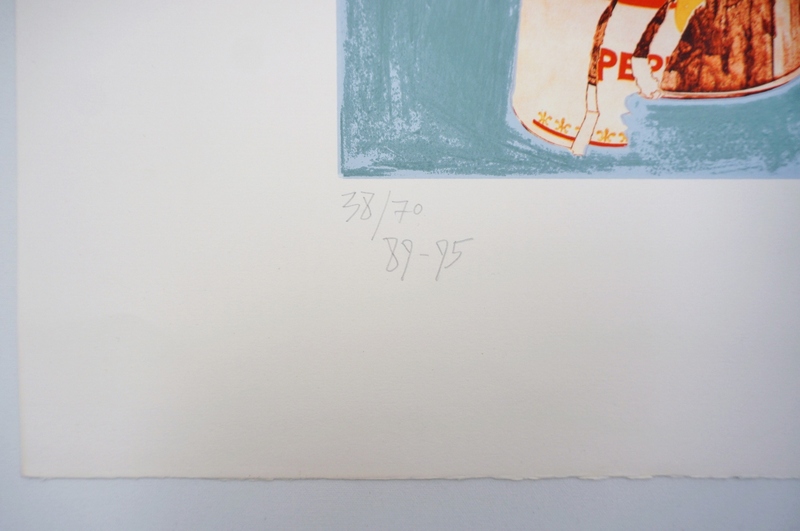 Numbered 36/70 & dated 89-95 in pencil in the lower left-hand corner and stamped IRWIN & Neue Slowenische Kunsts in the right corner along with IRWIN printed in pencil. 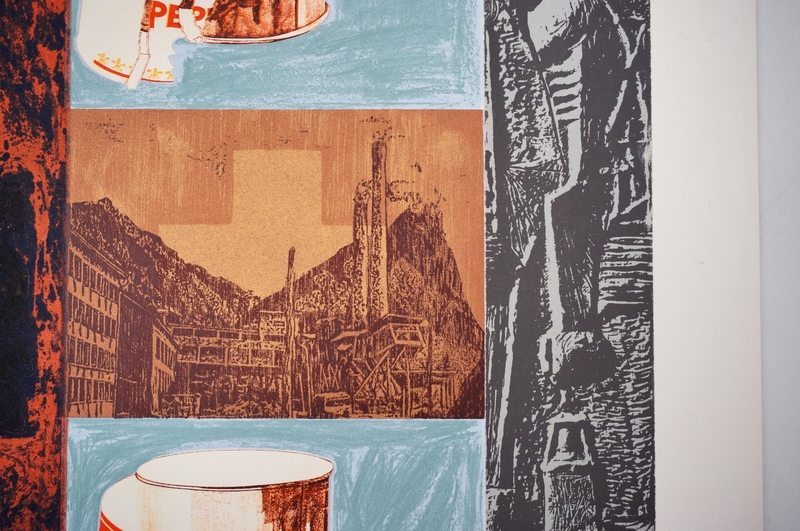 Multi-media print consisting of etching, lithograph, silkscreen and applied medium including gold metalic dust on CM Fabriano 100/100 cotton paper. Based on paintings from 1988 & 1989. 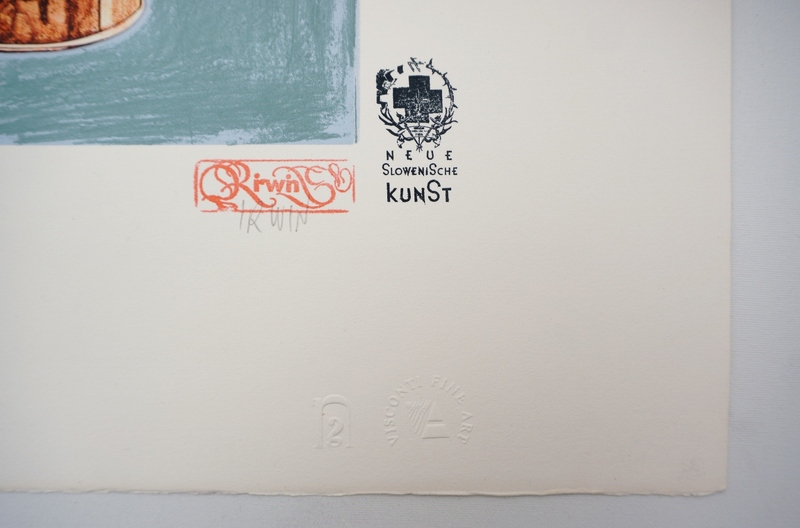 Printed by Novak Graphics Toronto and includes the stamp for Novak Graphics and Visconti Fine Art gallery of Slovenia. Excellent condition. 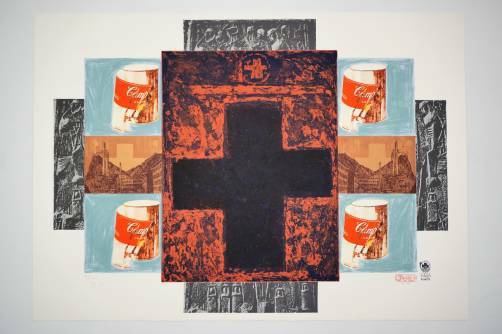 Established in the 80´s, IRWIN is a political group of five Slovenian artists. IRWIN is just the visual art arm of the larger Neue Slowenische Kunst or New Slovenian Art (NSA) movement. NSA is a collective which also includes music & theatre groups. Read more about the IRWIN group on our Blog.